In the 2040s, India is expected to surpass the United States (in PPP terms) and become the world’s second largest economy, behind China. Alongside this Indian emergence, the international order is undergoing significant change as well, with power increasingly diffused among states as a new, multipolar geostrategic landscape begins to emerge with fresh layers of complexities. These developments have the potential to position India as the world’s most influential democracy in the second half of the 21st century, giving it the ability to shape the Indo-Pacific region and the dynamically evolving global order. At the Shangri-La Dialogue earlier this year, Indian Prime Minister Narendra Modi delivered a speech in which he argued that the “destiny of the world will be deeply influenced by the course of developments in the Indo-Pacific region”. This bold claim has come within the context of both growing economic opportunity and expanding strategic challenges for the region. Sheer numbers alone elevate the importance of the Indo-Pacific and its influence across the world. It is now home to more than 65% of the world’s population who collectively produce more than 60% of global GDP. Over half the world’s trade passes through this region, and it hosts the fastest-growing armada of naval fleets along with seven nuclear powers. This region will also have a disproportionately high contribution to global growth in the decades ahead and will therefore ink the pen that scripts the new terms of trade, financial flows and investments, growth, humanitarian assistance, and peace and security. Even as this redistribution of wealth and power propels this region to the global high table, a position it long enjoyed up to the 15th century, the multiplicity of old and emerging actors, and their varied interests within the region and beyond are spurring greater unpredictability and new anxieties. There are simply no reliable 20th-century templates to manage such a simultaneous rise of multiple actors and interests in a region. 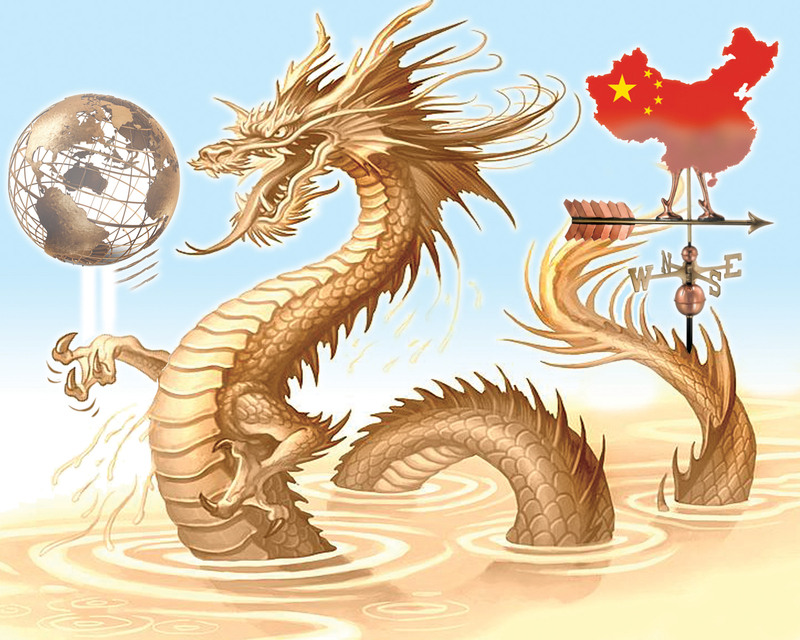 China, which was the first mover, now finds itself having to deal with the pushback to its own expansive plans, as well as with propositions from other initiatives such as the “Quad” (comprising of India, the US, Japan and Australia) that seek to steer the region’s future. There is little doubt that new pathways to a new order need to be discovered soon. Modi’s speech at Shangri-La signalled New Delhi’s acceptance of this reality, and its willingness to embrace greater responsibility in anchoring a “rules-based democratic order” in the region. Indeed, as a rising economic power with favourable demographic conditions – in 2020, the average age in India will be 29 years old (compared to 37 in China) – India is well positioned to shape the future of the Indo-Pacific. India’s geostrategic vision for the Indo-Pacific is unique. It rejects pitting China against the Quadrilateral Initiative in a zero-sum competition “between free and repressive visions of world order”, as the American vision postulates. It also rejects the Chinese proposition, which creates perverse dependencies through economic statecraft and military coercion in a manner better suited to the Cold War era. Instead, India is positioning itself to take a different path – one that does not see the world in binaries, bifurcated between partners and allies on one side, and competitors and adversaries on the other. India offers an opportunity for engagement and dialogue to all states, big and small, democratic and authoritarian, advanced or developing. The new vision moves away from conceptions of non-alignment or strategic autonomy, tools of foreign policy that may have outlived their corresponding geopolitical utility. When Prime Minister Modi stated that “the Indo-Pacific region is not a limited club of members”, he signalled New Delhi’s intention to lead a new configuration of states, guided by communities that yearn for development, markets that require connectivity and nations that seek security. The strategy calls for India to lead by example and show that as its capabilities rise over the coming decades, it will not abandon certain norms that reflect uniquely Asian democratic tendencies, open and transparent economic governance, and non-interventionist security paradigms. To put in place a vision that shapes the region and attracts others, India needs to script its own expectations from four key relationships. First, New Delhi should define its ‘China policy’. It needs to determine what it is looking for from Beijing and make clear what it will refuse to put on the negotiating table. At Shangri-La, Modi made clear that no nation can unilaterally “shape and secure” an Indo-Pacific order. Delhi must be prepared to enforce this statement of fact as a baseline norm. An Asian ethic cannot be scripted by China alone, whether it is on infrastructure connectivity or managing security disputes. The economic prosperity of the region will be implicated by the strength of the India-China partnership. Second, New Delhi should develop a clear policy toward the US. Thus far, New Delhi has essentially muddled through, deferring to Washington regarding policy in the region. India must answer whether it is ready, willing and able to play a larger role in defining a vision for the concert of democracies in the region and beyond. If, as Prime Modi recently indicated, the answer to all these is “yes”, New Delhi needs to put forth a more confident proposition for Washington to support. Is it now time to hand the baton over to India? Third, New Delhi must rethink its engagement with its neighbours, particularly around two existing regional architectures. The South Asian Association for Regional Cooperation (SAARC), an eight-member union meant to advance economic and regional integration, is in tatters. The Bay of Bengal Initiative for Multi-Sectoral Technical and Economic Cooperation (BIMSTEC), a seven-member organization meant to promote economic cooperation and trade, has turned into a forum for talk rather than action. Unless India presents a clear, enticing proposition to its neighbours, it will be hard-pressed to shepherd a new strategic vision in the larger region. Finally, Delhi must engage more vigorously with the global institutional framework. At the World Economic Forum in January, Modi warned of a “gap between the old systems of [international] institutions and the needs of many developing countries”, echoing Delhi’s age-old grievance with the Atlantic institutions and a new sense that India must help close this ‘gap’. India’s pivotal role in the Indo-Pacific will be bolstered through its co-ownership of the institutions created by the developed world and in making them work in coherence with the new institutions such as the New Development Bank and the Asian Infrastructure and Investment Bank, in which India has significant stakes. India’s Indo-Pacific vision exemplifies its ambition of being a “leading power”. Even so, it is merely the beginning of a decadal journey, which will see India shoulder the expectations that befit the world’s largest democratic economy. To do this, Delhi must constantly reassess the dimensions of change underway, visualize the possibilities that are on offer, anticipate the attendant risks and author the new order arising out of Asia. Author: Samir Saran, President of Observer Research Foundation. “Indo-Pacific” is in the news. The US has renamed its Pacific Command to the Indo-Pacific Command, the shared regional vision outlined by India and Indonesia has emphasised its centrality, and the region’s political importance to India was at the core of the expansive foreign policy speech delivered by Prime Minister Narendra Modi in Singapore. All of these are a response to the spectacular rise of China. If this points to a future concert of powers in the region to balance Beijing’s power play, it will be an important yet insufficient measure in reaction to the Chinese project that connects Asia and Europe. Covering 35% of the earth’s surface, Eurasia is home to five billion people living in over 90 different countries and producing nearly 70% of global GDP. For millennia conquest, trade and migration have organically bound Asia and Europe – the ebb and flow of great civilisations across this vast landmass spawned myriad political and economic dynamics of global history. Only in the recent past, in historical terms, have these been interrupted. The Industrial Revolution in Europe and the subsequent colonisation of Asia and Africa created an artificial divide, concentrating on economic and military power in ‘the West’. Asia’s contemporary economic ascendance allows people, goods, innovation and finance to flow relatively freely across Eurasia again. But the re-emergence of the supercontinent is not frictionless. New integrative geo-economic forces bring with them new political tensions. As history repeats and Eurasia coheres, the outlines of a new world order will be defined by who manages it and how it is managed. It is in this supercontinent that the future of democracy, of free markets and global security arrangements, will be decided. And there are three key factors influencing this. The first, to borrow a phrase from Robert Kaplan, is the revenge of geography. As much as Eurasian integration is organic, its current ‘avatar’ is decidedly Chinese. Having assessed that the divide between Europe and Asia was an artificial, modern and ‘Western’ construct, China is doing what no other power had the appetite for: conceive of, define and then manage Eurasia. The Belt and Road Initiative (BRI), Beijing’s choice of instrument, is creating sprawling networks of connectivity projects – each designed to embed dependency on China’s economy into this geography. Simultaneously, BRI dilutes the importance of the landmass’s sub-regions, thereby upsetting the settled balance of power arrangements. India and the European Union (EU), for example, are struggling to curb China’s creeping influence on their sub-regional political, economic and security conversations. A “free and open” Indo-Pacific vision, and nascent coalitions like the Quadrilateral initiative seek to balance China’s rise on the maritime front. The oceans, however, are but one of China’s platforms – and a purely maritime response is inadequate. China is relentless in pursuing this project: building infrastructure, facilitating trade, and creating alternative global institutions. Surreptitiously, China also exports its political model: “capitalism with Chinese characteristics” – a unique blend of state capitalism and authoritarianism. Unless liberal democracies propose an alternative in Eurasia that effectively addresses the infrastructure needs of countries in Asia and Africa, China’s proposition will succeed. Here lies the second factor: the revenge of democracy. Whether it is the US, EU or India, democracies are more polarised than ever before. The Pew Global Attitude Survey consistently records that trust in democratic governments is at an all-time low. More than ever it appears that liberal democracies are bogged down by domestic crises, leaving them little energy for strategic planning. At a juncture when China’s timelines are decadal, democracies are struggling to look past their next election. And the final factor, demography, is a double-edged sword for the entire region –, especially for China. For many Eurasian countries, BRI’s economic benefits are obvious. However, in an era when nationalism is the defining mood of politics, China’s presence can be unwelcome. China’s labour exports create tensions with younger host country populations who must now compete for employment opportunities. There is the risk that BRI will merely create infrastructure networks for extreme and radicalised organisations in unstable countries. At home, demographic pressures might force Beijing to reconsider its ability to deliver. As younger Chinese move up the income ladder, their expectations from their government will increase. Simultaneously, the preponderance of single young men in urban regions and ageing rural populations makes Chinese society susceptible to violence and unrest. What will these demographic pressures portend for the project of Eurasian integration? Will the Chinese state have the political capital to recklessly buy influence across the world? Will demographic complexities allow others to cobble together a viable counter to the Beijing consensus? Sitting in New Delhi, it cannot be more obvious that India’s development and security is inextricably tied to Eurasia. India sits at the crossroads of continental Eurasia and the Indo-Pacific – the two regions that will define this century. The US has expended blood and treasure over the past nine decades to maintain its privileged position in these two regions. Russia, the original Eurasian superpower, is reduced to a glorified policeman, or more charitably, a crafty risk management consultant for Chinese expansionism. And EU can either choose to be an actor or be acted upon, one slice at a time. It is critical that all of them, and more particularly India and the US, imagine an arrangement beyond the Indo-Pacific, into the heart of Eurasia. China’s continental-sized poser requires a supercontinental answer. It is for the liberal world to stand up and be counted, or step aside and let Pax Sinica unfold.